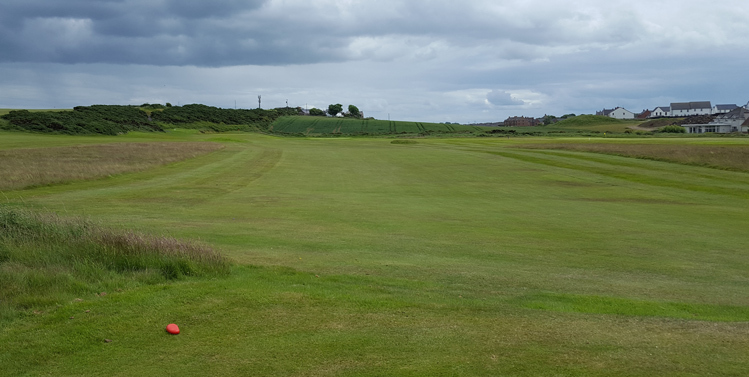 Portstewart Old Course Golf Hole 1: This par three is medium length and is mostly carry over heavy grasses. Look out for the tiny creek that can grab balls too. 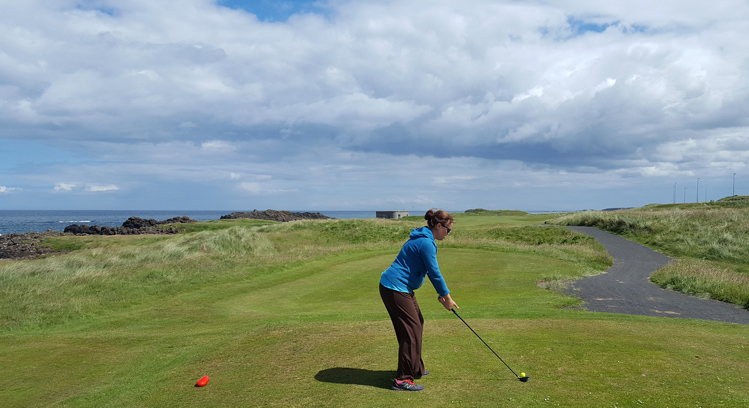 Portstewart Old Course Golf Hole 2: This short par four is fairly wide open but the views are great as it runs along the sea from tee to green. Portstewart Old Course Golf Hole 3: This is a very short par three. Left is trouble for sure and the green is fronted by a steep slope that will reject shots. It also has a hillside long that may bounce balls back onto the green. However, if not, it's trouble as there is severe back to front green slope. Portstewart Old Course Golf Hole 4: Even short courses can have masterful holes, and this par three along with water is one such example. Over the water and with nothing but rocks short and left of the putting surface, the only bailout is pin-high right and this is not a short shot. Portstewart Old Course Golf Hole 7: The elevated tee here gives the golfer the view of the next 9 holes and is fairly standard for what they will face. It is straight with not a lot of trouble, but it has a small, firm green with lots of slope to it. Portstewart Old Course Golf Hole 12: This is one of the docile, short par fours that frequent the middle part of the course, but the green does steep slopes left (up) and right (down) that can make up and down a little tougher than other places on the golf course. 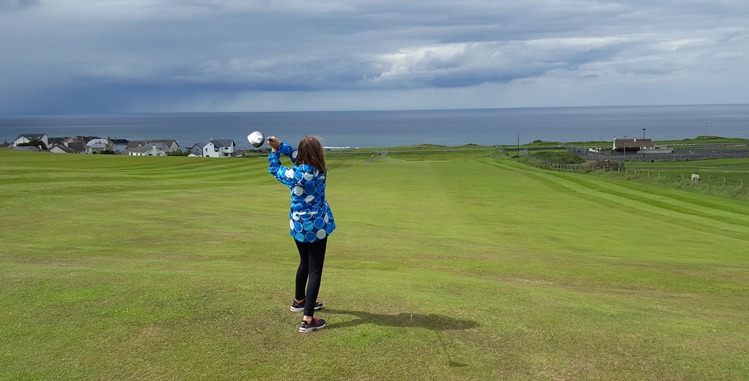 Portstewart Old Course Golf Hole 13: This short par four has a beautiful view over the gorse on the right down to the green and the Northern Ireland coast beyond. Stay left of the gorse, and it is easy. Portstewart Old Course Golf Hole 15: One of only three holes on the course over 400 yards, this one is straight and downhill, with OB right on both shots (but the golfer can go along way left and be safe). The views are great from tee to green. 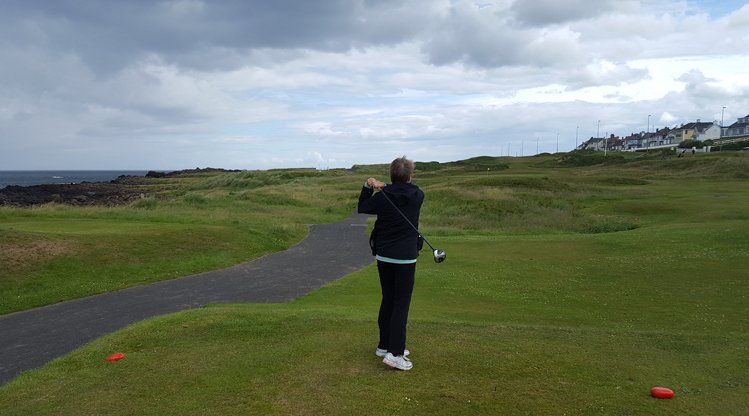 Portstewart Old Course Golf Hole 16: This par three starts the inward stretch towards the clubhouse and features little trouble, but it is over 200 yards, thus requiring a solid strike.